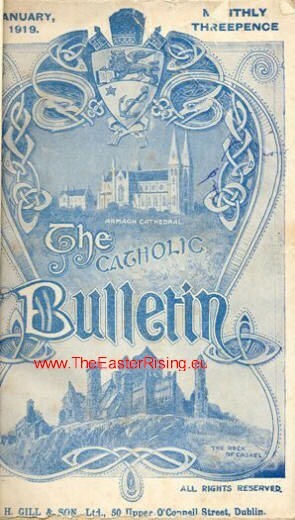 The Catholic Bulletin began a section in its twice monthly (and then monthly) publication entitled "Easter Week" .It contains invaluable information on the "killed in Action" and their family's as well as a photographs. 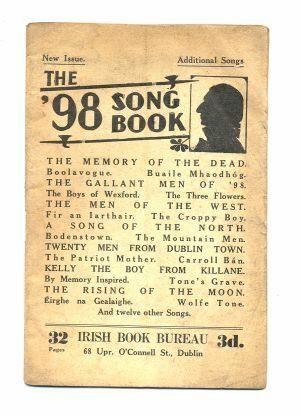 The set i have are divided into years 1916 - 1919 and bound in green covers but I imagine this was added by its owner. 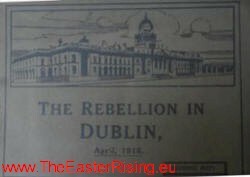 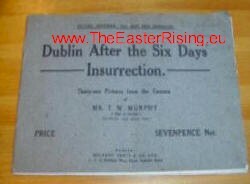 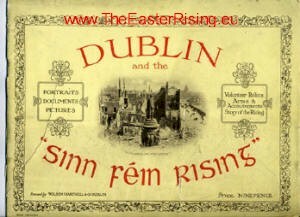 Sinn Fein Rebellion Handbook Easter 1916 Irish Times Weekly: Sinn Fein Rebellion Handbook, Easter 1916, tall 8vo D. (Irish Times) 1916. 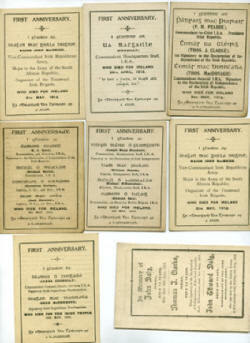 ., with photos maps & adverts., orig. 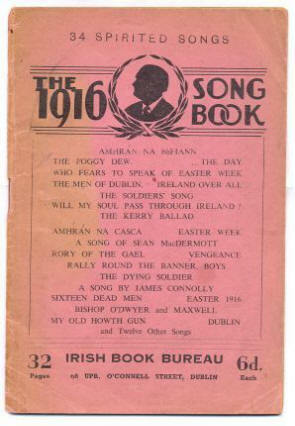 printed pink wrappers. 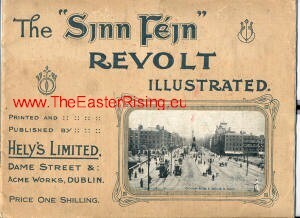 Only a very limited run of this first issue was printed. 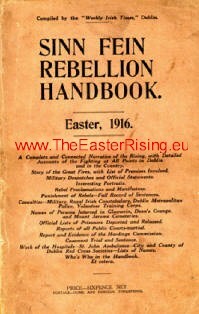 An indispensable, reference work for anybody studying the period, with several lists of prisoners dead, injured etc. 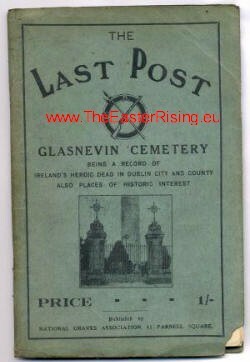 An excellent reference book listing the resting place of all the killed in action as compiled by the National Graves Association.